On 12th Jan’18 MG Neptune, en route from Singapore to Vietnam, received a “to all ships” alert about a capsized fishing boat. They immediately diverted and reached the scene to save two fishermen. Upon arrival to Vietnam, the two survivors were handed over to the Vietnam MRCC. 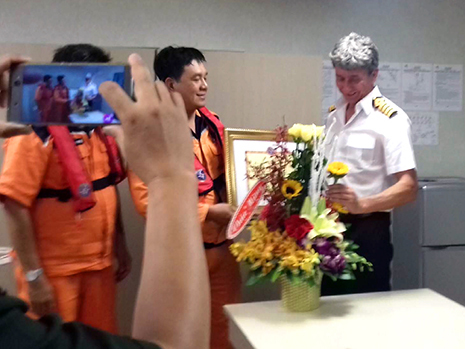 The Captain and his crew received a commemorative plaque for their efforts.